1 percent (1%) - is the statistic of the day. 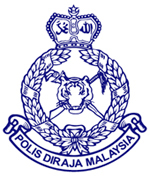 On average, for each of the 1000 police stations in Malaysia, there are at least 1 (one) policeman reported to have taken a bribe. Do you have a police station in your area/district? It would be interesting to interpret the figures and relate them to your place and situation. KUALA LUMPUR, March 14 (Bernama report) — Only one per cent of about 100,000 policemen are reported to have taken a bribe, Inspector-General of Police Tan Sri Ismail Omar said today. He warned that the number, however, could spread like cancer if the situation is left unchecked. He also told the national news agency that he is working on inculcating a zero corruption culture in the police force and urged the public to report corrupt personnel. The performance of the Police Disciplinary Department, which was established to address police misconduct has been satisfactory, he added. So, according to you, one in three police officers are taking bribe, yes? That's an interesting probability. 1% means we have one of the cleanest force in the world,i think MACC should go underground to find out. 40% of statics are made up...see? I just did . Sigh~~ Every where bribery happens.